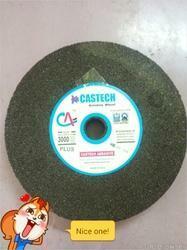 Castech Abrasive - Manufacturer of black silicon carbide, brown fused alumina & pink fused alumina in Junagadh, Gujarat. 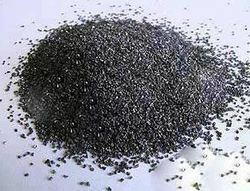 We are a coveted business organization engaged in manufacturing and supplying Black Silicon Carbide. Used as a refractory material and metallurgical additive, these products are appreciated for their features like longer shelf life, effectiveness and accurate composition. Owing to above features, these products are widely demanded in the market. Black Silicon Carbide is available in different packing sizes to meet the variegated demands of our customers and offered at industry leading prices. 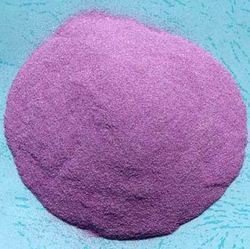 Over the years of experience in the industry, we have been able to provide our customers with Pink Fused Alumina. 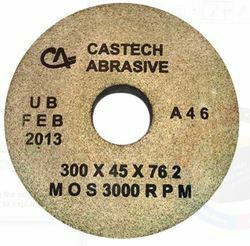 Available in varied mesh sizes, these products are an abrasive material with moderate friability. Recommended for tool and internal grinding jobs in instrument industry, these products are known for longer shelf life and effectiveness. To attain highest benchmarks of quality, the Pink Fused Alumina is processed in accordance with the well-defined guidelines of the industry. 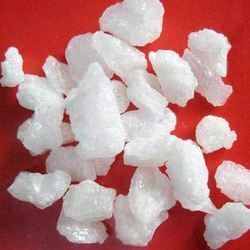 We hold immense expertise in offering our customers with White Fused Alumina. Used in iron-steel, cement, ceramics and petrochemical industry, these products are known for their features like high temperature resistance, a very high alumina content, good thermal stability, low impurities etc. 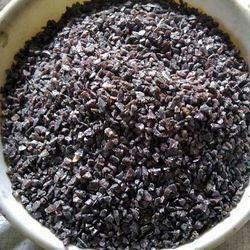 Available in different quantities, these products are highly demanded in the market. Prior to dispatch, the White Fused Alumina offered by us is packed properly in tamper-proof packing so as to keep it safe from environment changes. Owing to our expertise in this domain, we have been able to provide our customers with a wide range of Resin Bonded Snagging Wheels. Used in various fields like foundry, shipyards, railway, welding, earth moving equipment, fabrication and steel milling, these products are extensively demanded in the market. Engineered to get perfect balance, these wheels are known for their features like low maintenance, longer service life and fine finish. These Resin Bonded Snagging Wheels are available in different specifications to meet the needs of customers. Driven with perfection, we are engaged in manufacturing and supplying Hypodermic Needle Grinding Wheels. 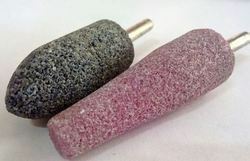 Mostly, these are used for grinding the medical needle point sharply and without burrs. Also, it is used for precisely cutting of non ferrous material, watch parts, aluminum, tungsten, magnetic steel etc. 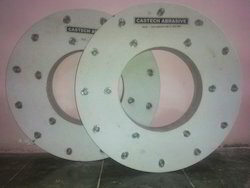 These are widely demanded for features like good form retention and excellent component finish. 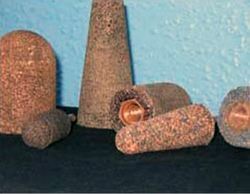 Hypodermic Needle Grinding Wheels offered by us are delivered to the customers' premises in stipulated time frame. Besides those mentioned we manufacture special wheels and shapes mounted on threaded shanks based on your specifications and design. Driven with perfection, we are engaged in manufacturing and supplying a wide array of Duplex Grinding Wheels. 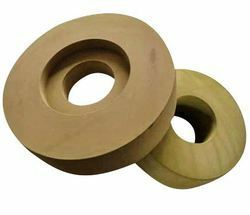 Available in different sizes and specifications, these wheels are used in steel rolling mills, general engineering and paper mills. Manufactured by making use of high-grade raw material like forged steel, cast iron, alloy steels and other components, these wheels are known for their features like low maintenance, longer service life and corrosion resistant finish. 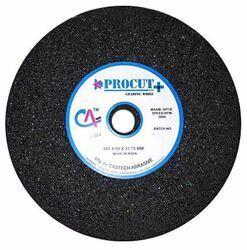 These Duplex Grinding Wheels are tested on various parameters to ensure flawlessness. With the aid of modern tools and sophisticated technologies, we have been able to manufacture and supply a wide range of Insert Nut Plugs. Easy to install, these nut plugs are manufactured by making use of high-grade raw material like brass, aluminum and basic components that are sourced from the accredited vendors of the industry. Provided in different specifications, these net plugs are available at industry leading prices. These Insert Nut Plugs are used in smoothing of weld seams, cleaning castings, preparing surfaces for plating or painting and billet conditioning.